By heading down a unique path, the results in this music documentary are magnificent. Music documentaries usually fall into a few limited categories, including glowing hagiographies, concert films and rise-and-fall tragedies. These categories persist, at least in part, because they provide foolproof audience-friendly templates for filmmakers to follow. Milford Graves Full Mantis goes down a completely different path and the results are magnificent. Milford Graves is a famed jazz drummer and percussionist who has performed with the likes of Albert Ayler and Paul Bley. 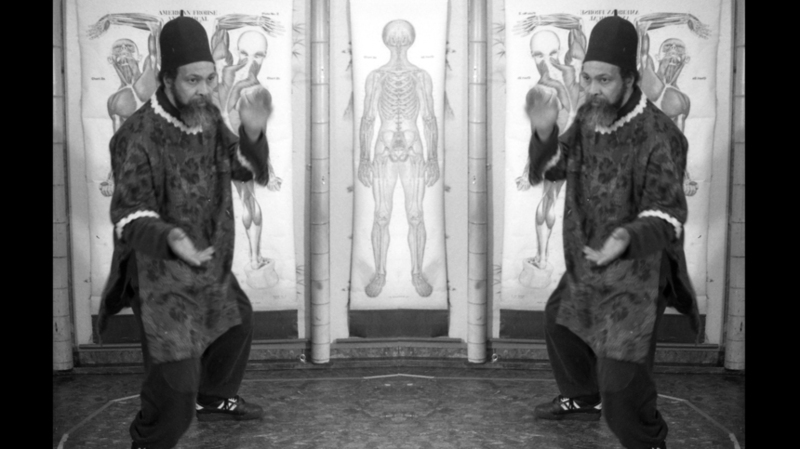 Although Graves is justfiably regarded for his drumming, music is a single element of a personal philosophy that synthesizes art, physiology, alternative medicine and martial arts. Co-directors Jake Meginsky, who has studied under Graves for 15 years, and Neil Young eschew standard tools and techniques (e.g., linear biographical timelines, detached narration, multiple talking heads) to capture multiple aspects of their subject's life and personality. Milford Graves Full Mantis is solely focused on what the arist has to communicate to the world. The film was shot in-and-around the Graves' home in Jamaica, New York. The house's exterior is adorned with stones and crystals. A colorful eclectic garden teems with bees, butterflies and other insects. Inside the house, one finds sculptures, instruments, computers and books. At the center of this rich environment is Graves who, at the age of 76, is full of energy, creativity and vunerablity. His musings are interspersed with rare archival footage, art and photos. All of this material is assembled with a fluid hypnotic style that reflects the many moods and rhythms emanating from Graves' words and music. Milford Graves Full Mantis is a beautiful and carefully constructed portrait of a uniquely talented human being. What's more, the film shows the creative possibilities that still exist within the increasingly staid realm of music docs. MILFORD GRAVES FULL MANTIS TRAILER from Full Mantis on Vimeo.